It is of critical importance that taxpayer-funded research be of demonstrable high quality to ensure a return on investment to the nation and to ensure the best training of our future researchers. The Group of Eight suggested this in a recent submission to the inquiry into the research training system, and it shouldn’t have set the cat among the pigeons. But it did. The argument – which should never be an argument in the first place – appears to have descended into a Twitter and media “debate” that the Go8 was making a self-interested grab for available research dollars to the detriment of all other universities. What the Go8 was saying, and will not back away from, is that funding mediocre research is a poor national investment and should stop. High-quality research should be funded at any university in which it occurs. In his Menzies Oration last week, Ian Young, the Go8’s chairman, said: “My concern is that we don’t target our research investment in areas of demonstrable excellence and hence our average research performance trails our national peers. “The issue here is that much of our research funding is not distributed based on demonstrable research quality. Rather, it is distributed on the basis of research volume or on the number of undergraduate students, which is not directly related to research at all.” This raises the question of why research funding should be treated differently from other aspects of society. Would the taxpayer be expected, for example, to continue to help fund the training of mediocre athletes for an Olympic team? Would they even be chosen for funding in the first place? In context, Australia does have a high-quality higher education system. But all universities have different levels of commitment to research. Each could be researchintensive if it so chose. Most don’t. Each university’s business model, as it relates to research, is different, as is its right. The Go8 is the powerhouse of high-quality research as demonstrated by its success in winning funds in open competition and through the evaluation of the research we undertake. Our “above world-class standard” proportion of research is 2.5 times higher than the rest of the sector. Our research funding accounts for two-thirds of all research funding to universities. In 2013, we received $2.4 billion in funding. However, that year we committed a total of $6bn to research, $2bn of it on critical medical research that had a global impact. 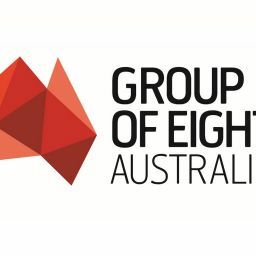 But during the past few days a point of view has been doing the rounds that the Go8 wants to lock out any potential for research in other universities to build their research capacity by stopping the present funding streams that allow lesser-quality research. The Go8 contends there is an obvious way to encourage research to become high quality change the funding model to stop funding research presently classed as below world standard if it does not improve its quality within the next assessment period. The Go8 is committed to pathways to higher quality but the taxpayer funding pipeline needs to be severed where that is not occurring. Taxpayer funding should be diverted to deliver the best bang for the buck in the national interest. The Go8 is not saying halt the research; it is saying halt the taxpayer funding of that research that cannot deliver demonstrable high quality. Should universities themselves wish to continue to fund lesserquality research then that is their choice. However, the research training aspect must not get lost. It is critical. Today’s PhD students are our future researchers. They deserve to be trained where there is a culture of research excellence because that is what we will expect of them in their future careers. Universities owe it to PhD students to ensure that is delivered. Vicki Thomson is chief executive of the Group of Eight. In the media: Radio: How does Australia compare in global education?